Shippers who plan ahead consistently turn to a 3PL, also known as a freight forwarder, for all of their trucking needs. Everyone knows that a 3PL provides a shipper with a tremendous opportunity to save money and save time on certain freight shipping requirements. But some people may not realize how the 3PL can provide all of these fantastic domestic shipping services, while staying under budget and on time. It is important to realize some of these best kept secrets that make 3PLs so important to the shipping process for many companies. 3PLs specialize in efficiency. That is why most shippers choose them. Historically, fewer mistakes are made when using a 3PL vs. shippers who choose to truck without the help of a 3PL. By making fewer mistakes, 3PLS can save money and save time by diminishing trucking delays. An experienced 3PL has the knowledge to provide outstanding customer service. 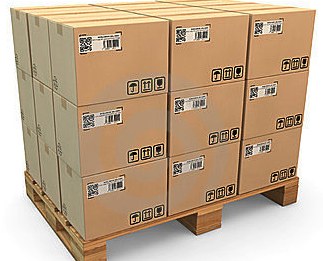 They can also track all of the freight shipping details to ensure that pickup and delivery occur on time. 3PLs also provide great cost savings for shippers by using their immense connections and large buying power. The best 3PLs have connections with the nation’s leading trucking carriers, warehouses and terminals. The result includes faster delivery times, better quality services and better trucking rates for shippers. And the best part is that the shipper still maintains full control of their freight. Simply put, these services from a 3PL are amazing. That is why 3PLs consistently give shippers the peace of mind that everything is going smoothly.